A filter bag system is one of the most accepted filtration techniques for liquid process usage. It gives an adaptable, money-making and reliable filtration arrangement appropriate for a broad variety of usage from small group operations to bulk dispensation. Filter bags are broadly employed in manufacturing, inks, paints and coatings, food and beverage industries. Filter bags are produced and checked underneath the strictest feature control norms to make sure reliable performance. Filter bag housings are present in a broad variety of materials and sizes, and can deal with any liquid types and flow rates in the variety of 5m3/hr to 640m3/hr. Substitute filter bags are chosen from the largest feasible variety of media. 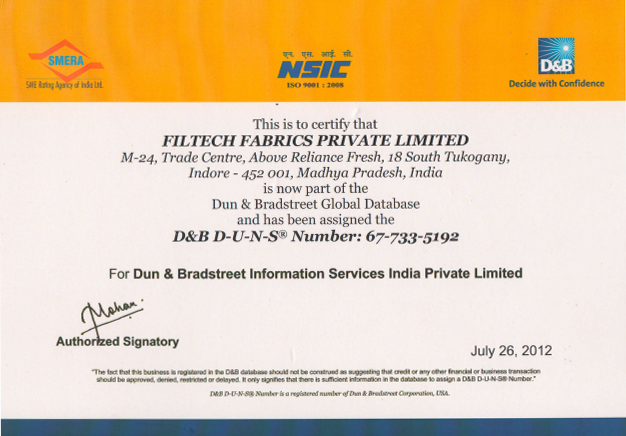 Filtech Fabrics has a broad range of filter media accessible to help unravel your filtration issues. The filtration competence values specified in our information are the sign of the filter’s performance. Not like various manufacturers, the filter bag manufacturer Filtech Fabric issues the filtration competence and dirt ability of our medium, giving all the detail required for a precise sizing of a filter, from oil filters to different kinds of liquid filters. Our medium is provided in normal grades and high efficiency. Standard grade refers to products which are nominally rated. This means there is no specified efficiency at the micron size but the product is interchangeable with industry standards. 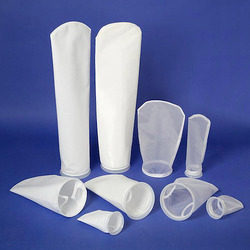 Filter bag manufacturer supplier Filtech Fabric offers different levels of filtration to meet different needs, such as low-cost, standard efficiency bag filters, up to high-competence, high-capacity attributes. Our high-competence filter bags deal with different applications needing elimination of solids from liquids. They provide high dirt-holding ability, and are simple to set up and put back. We are filter bags manufacturer in India and provide with an overall variety of fabric filter bags such as sparkler filter and different types for your dust compilation arrangement in a broad range of fabrics, finishes, sizes and styles. Due to the range of particulates accumulated and personal operational situations of collection arrangements, choice of substitute filters should be found out via careful study of your present operating constraints. Filtration fabric should be chosen for utmost filtration competence, dust cake discharge and toughness. Operating situations may involve modifications to gas brook chemistry, damp or hydrocarbons, or soaring temperature points. All requires being regarded to get utmost filter life and performance. The style and structure of bags are characteristically found out by the collector cleaning arrangement and if hold up cages is required. Overall, with a broad variety of especially persuaded filtration medium obtainable, Filtech Fabrics can operate with you to increase the performance of your present arrangement no issue what kind of powder or dust you are accumulating.